In the distant future of another time-line, the martial arts had become obsolete in the face of super-powerful weaponry. As such, they had been relegated to mostly ceremonial functions and were rarely if ever used in actual combat. Many of the more aggressive martial arts died out completely (or lived on secretly) in those dark times, but at least one new form was created. Even though humans of the future liked to believe themselves free from all violent impulses, they still required an occasional venting of anger and frustration. Because of the combatant nature of the martial arts, these ancient practices were deemed worthy of further study; the fact that they required great mental and physical discipline as well was seen as a great plus. So, sometime in the mid- to late 23rd century, an historian and student of the martial arts decided to create his own form. Well, it wasn't actually that simple a decision, but it's as good a description as any. Working with the idea that the martial arts should be a vent for negative emotions and not a means of self-defense, this historian (who is ironically unnamed in the history texts of later eras) synthesized a workable form from his knowledge of many older forms. 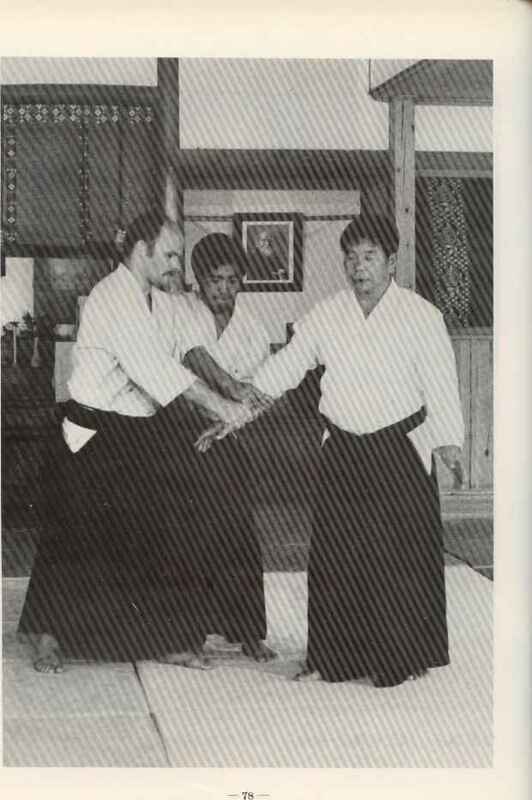 He called this discipline "Anbo-Jyutsu," but among its practitioners it was often called (wrongly and arrogantly) "the ultimate advancement in the martial arts." Anbo-Jyutsu is practiced and performed in light-weight armor made out of a material similar to kevlar. Its primary weapon is a staff about five feet long, with a padded weight on one end and a carved air-whistle on the other. In combat, these staves made a low, throbbing noise counterpointed with shrill whistles each time it strikes. However, the most stunning thing about this martial art (besides its impressive appearance) is that it is performed without the benefit of sight! All Anbo-Jyutsu armor is built with an attached faceplate which can be lowered or raised. In performances, mock battles, and grudge matches, it is always kept down. Anbo-Jyutsu has many wide, sweeping, circular motions in it, partly to make up for the lack of sight, but also just for the sake of an impressive appearance. Do not be fooled by thinking this martial art weak just because it prides itself on appearance; on the contrary, practitioners of Anbo-Jyutsu (who often consider it a game rather than a combat discipline) equate being good with looking good and can be truly devastating, both to their mock opponents and their real ones.